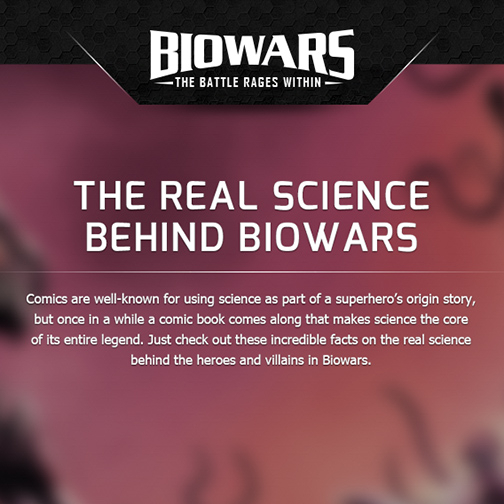 Just check out incredible facts on the real science behind the heroes and villains in Biowars. 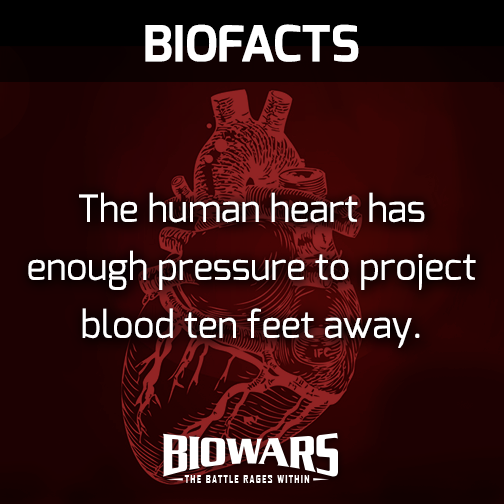 The human heart has enough pressure to project blood ten feet away. 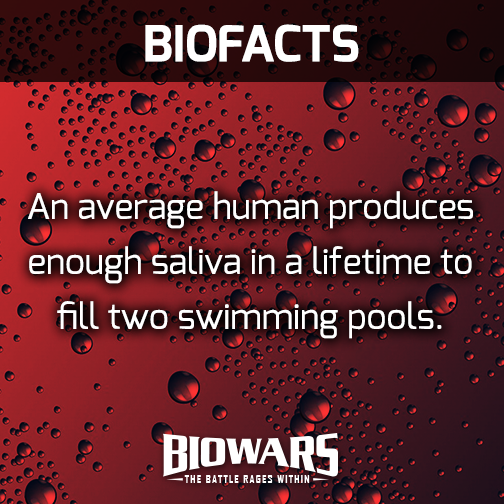 An average human produces enough saliva in a lifetime to fill two swimming pools. 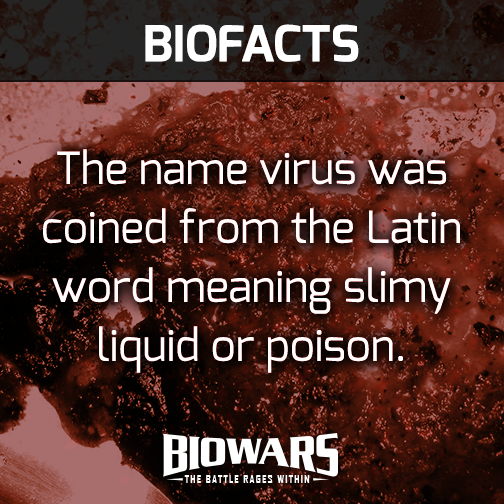 The name virus was coined from the Latin word meaning slimy liquid or poison. 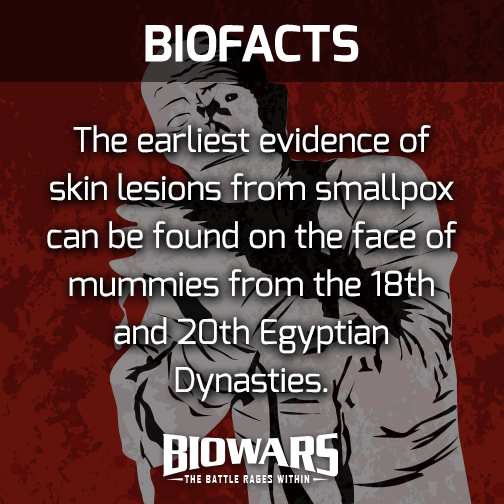 The earliest evidence of skin lesions from smallpox can be found on the face of mummies from the 18 and 20th Egyptian Dynasties. 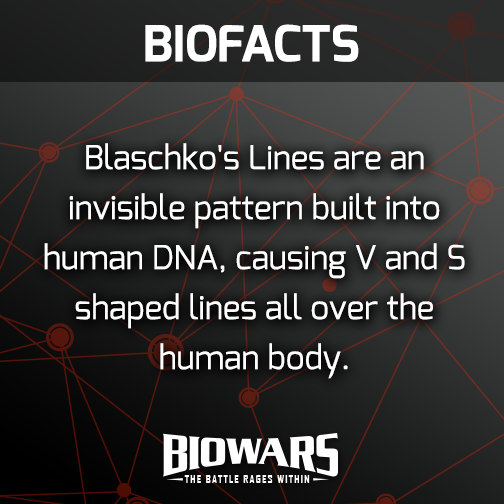 Blaschko's Lines are an invisible pattern built into human DNA, causing V and S shaped lines all other the human body. 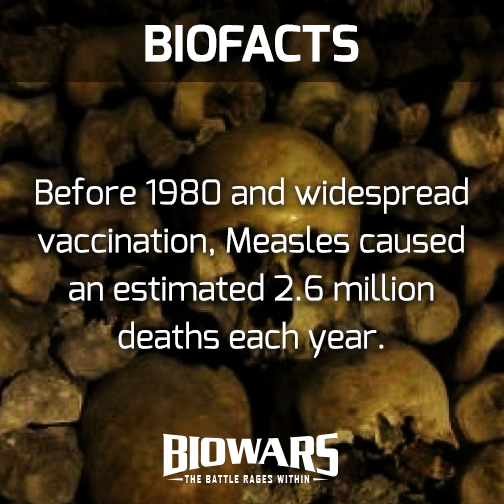 Before 1980 and widespread vaccination, Measles caused an estimated 2.6 million death each year. 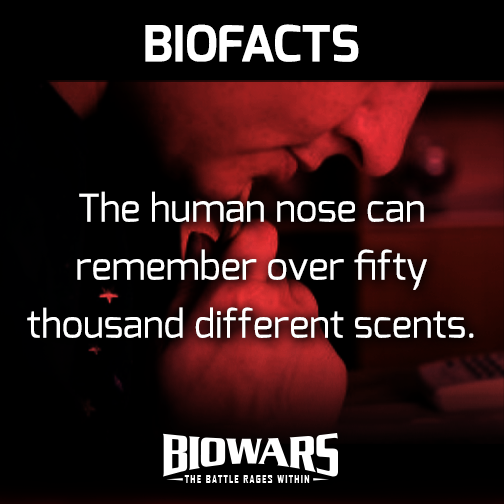 The human nose can remember over fifty thousand different scents. 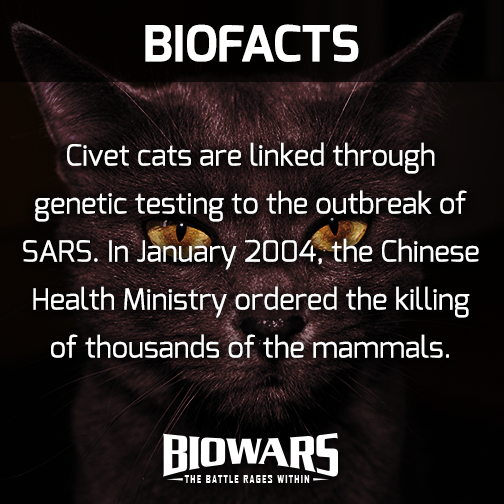 Civet cats are linked through generic testing to the outbreak of SARS. In January 2004, the Chinese Health Ministry ordered the killing of thousands of the mammals. 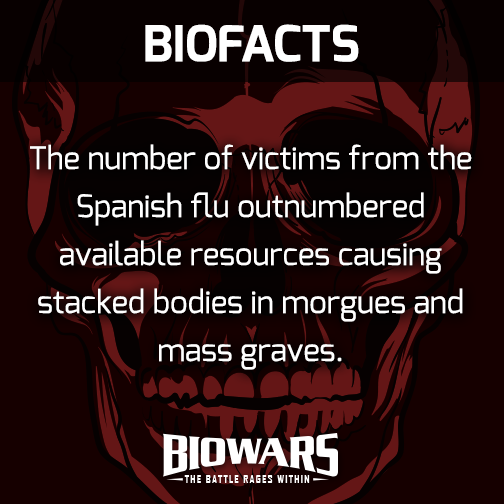 The number of victims from the Spanish flu outnumbered available resources causing stacked bodies in morgues and mass graves. 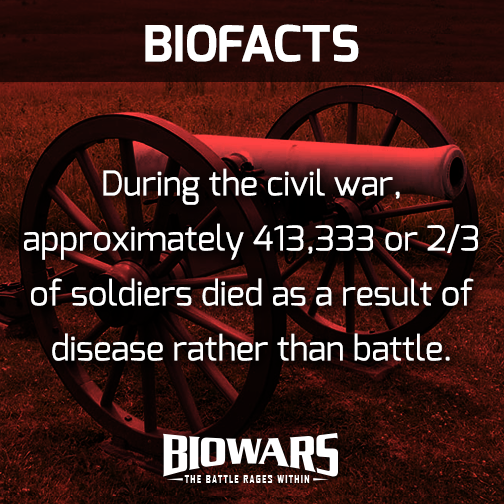 During the civil war, approximately 413,333 or 2/3 of soldiers died as a result of disease rather than battle. 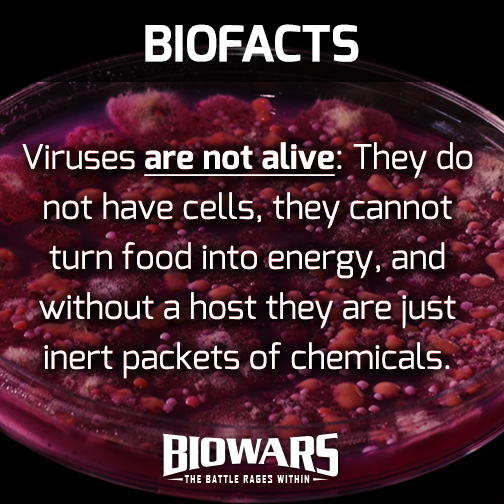 Viruses are not alive: They do not have cells, they cannot turn food into energy, and without a host they are just inert packets of chemicals.